I have a point layer with soil values. 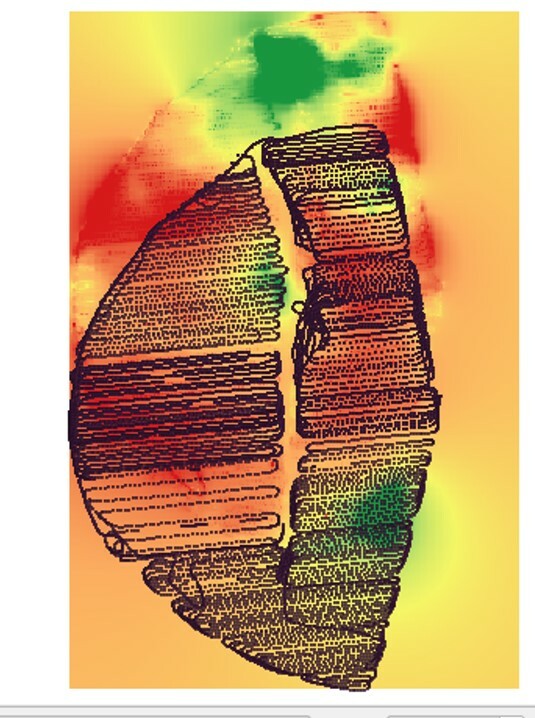 How can I get a raster layer with different classes of values, since there are areas without point sampling, what´s the best way to have a regular cover of the total area, given the sampling points? ? Select the point file as input and name an output file. Select algorithm as Inverse distance to power. Just as a starting point try setting min points to 5 and max to 20. Start with large radius say 30 or 40 for both and then slowly decrease as you observe results. Leave other settings as default. Once map is processed right click on the layer and go to Properties > Style and select Render type as Single band Psuedocolor. Select a color ramp then click Classify and Apply. Now this assumes you are using a UTM type projection with map units in metres. First you must have an opinion to the resolution of your data. How fare away do the soil data have a spatial relation. You can then interpolate between the lines. 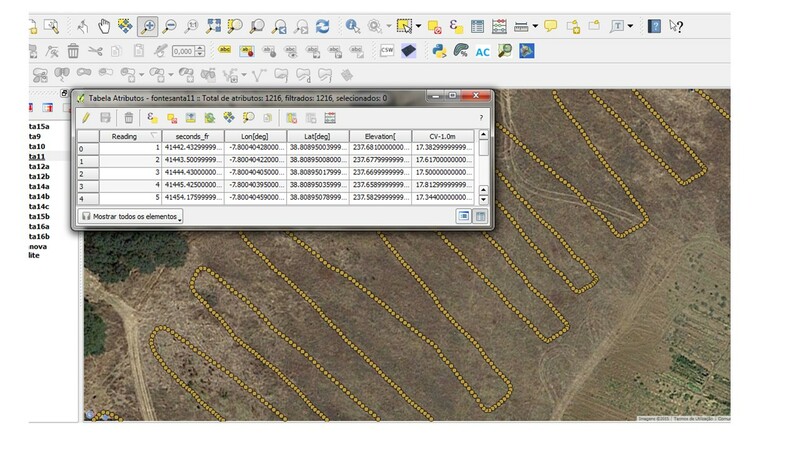 Your soil data resolution will give you a hint for how large you wants the grid cells in the raster. A good interpolation method on soil data (geophysical or geochemical) is IDW since it smoothens you data slightly washing out some of the uncertainties in machinery and laboratory analysis. 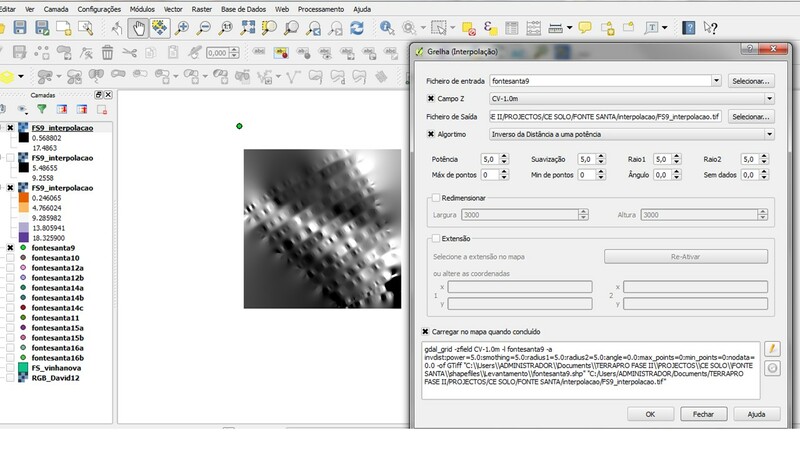 In QGIS menu Raster > Interpolation pick output interpolation method to IDW and experiment with the settings. I have an difference between my data and raster when defining the same SRC (Layer Reference system) for both. Do you know how can takeover this problem? Not the answer you're looking for? Browse other questions tagged qgis raster grids-graticules or ask your own question. How to sample raster datasets at ALL points? Calculating number of points within different parts of raster? Performing multiple intersections between two polygon tables and one raster table in PostGIS? Calculating continuous raster representing land cover proportion from categorical raster using QGIS?